You support a local LGBTQ (Lesbian Gay Bisexual Transgender Queer) organization that advocates for the environment, sponsors exciting outings and events, and gets involved in local conservation issues. You join our active collaboration with other GLS groups. 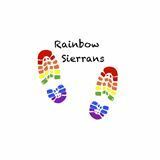 Everyone is welcome on our outings, whether or not they have joined Rainbow Sierrans. You are strongly encouraged to join the Sierra Club (click here to join) and support its work on behalf of the environment. *You must be a Sierra Club member to be an outing leader, vote in GLS elections or become a member of the Governing Committee.